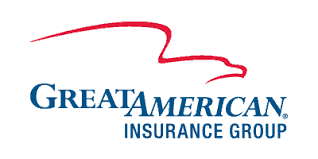 About Us - Ag Producers Insurance, Inc.
Our agents have a combined 20+ years’ experience in the insurance industry. Darryl Lane has been insuring crops for over 16 years. He has insured many acres throughout those years in 6 different states. Sarah Davey has a background in property and casualty insurance along with commercial, life and health. Melody Clouser comes to us with experience in MPCI and crop hail. Let our agents go to work for you. Darryl Lane grew up on his family farm in northern Hancock County, east of Indianapolis IN. He graduated from Ball State University with a BS in teaching. He has been a full time crop insurance agent since 1997 and meeting the needs of farmers and is currently licensed in 6 states. He has two children and three grandchildren that keep him busy. Sarah Davey lives in White County and has a business degree from Ivy Tech. She has been a licensed insurance agent for 5 years and can write Life, Health, Farm, Auto, Home, Commercial, MPCI and Crop Hail Insurance. She and her husband live in Reynolds, Indiana with their son Preston. Melody Clouser was raised on a farm in Tipton County and graduated from Purdue University with a degree in Agricultural Economics. She is a Certified Crop advisor and resides in Westpoint, Indiana with her husband and 2 children. She has worked in the seed industry for the past 13 years and has been a licensed crop insurance agent for the last 3 years. She currently helps manage Clouser Crop Solutions, Inc with her husband which includes seed, Meridian and cover crop dealerships. Bill Gentry was born on a dairy farm in Indiana before his dad decided to go to college. After finishing his studies, they found their family in the Chicago area as his dad took a position on the floor of the Chicago Board of Trade. He grew up under the influence of the CBOT and he remembers going down on the floor when they put the prices on the wall with chalk. Bill is a licensed commodity broker with Risk Management Commodities and is also a Principal of Ag Producers Insurance. Sherman Newlin graduated from Wabash Valley College with a degree in Mgmt of Ag Production. He has been involved with the commodity markets since 1988 when he was a runner at the Chicago Board of Trade. He joined RMC in 2003 as a broker and shareholder. He then became one of the principals of Ag Producers insurance in 2009. Sherm has farmed his entire life in Hutsonville, IL on his family farm that dates back 170 years. He and his wife are currently raising two kids and his farm operation includes production of corn, seed corn, soybeans and wheat. Kelly Bilyeu graduated from Purdue University with a degree in Retail Management and worked in retail for 17 years. She changed careers in order to spend more time with her family and work for a swine veterinarian. She is very involved in the local 4-H programs and she is currently the Office Coordinator for all Midwest Agro Alliance companies. Ag Producers Insurance is committed to making sure you and your family are properly insured for your future!